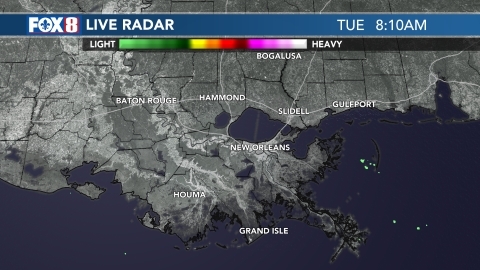 (WVUE) - Aside from a few more clouds around today, there is little change expected in the weather for the area. 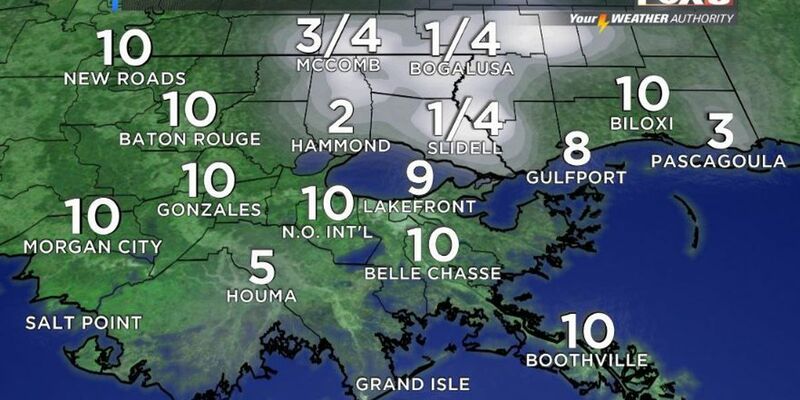 There is some Thursday morning fog on the north shore, but not advisories have been issued. Most will stay dry today with only a stray coastal shower possible. Temperatures will likely climb to the low to mid-80s this afternoon and the next several afternoons. Nights will be mild with lows in the 60s in the city and the upper 50s on the north shore. More sunshine is expected by Friday and for the weekend. Next week, clouds will return with an easterly breeze. No rain is expected, so the dry spell will continue into the beginning of November. Patches of morning fog could become more common at times over the next five to seven days.